Gapers Block is looking for a few good people to join our staff. We're looking for folks who share our passion for the city — how many great and interesting things are going on, how many amazing people and places and events are here — and are excited to share all of it with the world (or at least other Chicagoans). We are currently looking for people to contribute in three areas: Merge and Slowdown, our blog and calendar; Transmission, our local music blog; and a new food blog that will be launching very soon. Below is some information about our needs and expectations for each, as well as information about how to submit a feature for Detour if the occasional longer article is more your speed. All these positions are volunteer — none of us is getting paid right now (not even Andrew and Naz), but there are perks to being on staff. UPDATE 1/24/07: After receiving dozens of applications, we have made our decisions and will not be reviewing any more applicants at this time. 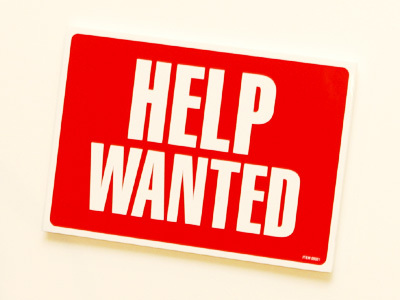 Thank you for your overwhelming interest, and keep your eye out for "help wanted" posts in the future. Gapers Block is about getting people to slow down and check out what's going on in the city around them. We're looking for people with unique perspectives on Chicago who are interested in highlighting cool stuff going on in the city. If you've read the site for very long, you should have an idea of what we're talking about. For Merge and Slowdown, staffers are expected to post 12-15 items a month to Merge and/or Slowdown. That works out to around three or four posts a week, which ought to be pretty doable. We do keep track, and slackers will be shamed for awhile and eventually guilted into leaving. Spelling and grammar skills are important, and the ability to write concisely is valued. Some basic html knowledge is a plus although not strictly required. We're particularly interested in contributors who live on the South and West Sides (though if you live on the North Side, that's cool, too.) We're also looking for people who would be interested in covering particular beats, such as sports, arts and theater or politics. Interested? Email us at inbox@gapersblock.com with some background on yourself (name, a website if you have one, why you want to be on staff) and a couple sample posts. We are not looking for new columnists at this time, but if you have an idea for a feature article, read about submitting to Detour below. Do you seldom need to be convinced to go to hear a new band at your neighborhood nightspot? Do you find yourself wandering down every aisle of the record store hoping for a chance at finding a misfiled import? Do you love getting the first crack at a soon-to-be released single from an underground band? Then we want to hear from you! Gapers Block's music blog, Transmission, just got a design refresh and is looking for new contributors to help beef up our coverage of all the music that Chicago has to offer. We're particularly interested in contributors to focus on the local hip hop, folk, jazz, blues, classical and electronica scenes to round out our rock coverage. If you're a writer who likes to rock — or jam, or bop, or anything in between — and can write about Chicago's music scene a couple times a week, we'd love to have you join us. 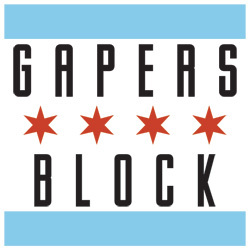 Send three sample posts (three to five sentences each), along with your full name and your favorite types of music, to transmission@gapersblock.com with the subject line "Ready to Rock." Don't delay! Even if you're not up to the demands of being on staff, you can contribute by joining the Gapers Block Transmission flickr pool! Share photos of concerts, musicians, record stores, classes and anything else relating to the local music scene, and it'll stream across the Transmission website. Sweet! In the coming weeks, we will be launching another standalone blog like Transmission, this one focused on Chicago's vibrant food scene. This will encompass not just restaurants and bars but also grocery stores, farmers markets, foodblogs and discussion boards, local food companies and more. As with Transmission, we're looking for contributors who can post several times a week. But since this is a brand new endeavor, we're hiring general staffers as well as people who may be interested in writing recurring features — reviews or perhaps something more original. We'd love to hear your ideas along these lines. If you think you're right for this blog, email inbox@gapersblock.com and tell us about yourself and how you'd like to contribute. • The feature must have some connection to Chicago. This could mean either A) the author lives in Chicagoland or B) the story is about some aspect of Chicago or the surrounding area. Either way works for us, though B is obviously the stronger option. • Minimum article length is 1,500 words (although this is flexible, and obviously doesn't apply to visual submissions.) A maximum isn't really set, but there's probably a glass ceiling in mid-3,000s somewhere. • All submissions should be presented in .doc or .txt format. We run on Macs here, but PC file formats are OK.
• Artwork (photography, drawings, etc.) is welcomed along with feature submissions — or as a feature in and of itself. All images are to be presented in a Photoshop-readable format, preferably .jpg, .png or .gif. • We'll need a one- or two-sentence bio to run at the end of the feature. Include a link to your own site if you've got one. We cannot guarantee that anything you submit will be published. We reserve the right to edit any work; time allowing, we will share these edits with you, and we may ask that you revise and resubmit your piece. For best results, run your story idea by us ahead of time, along with an estimate of when you'll have it done. Story ideas and submissions should be sent to inbox@gapersblock.com. 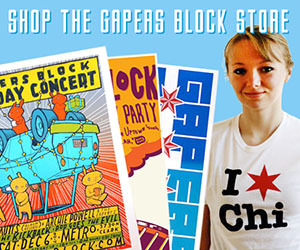 Gapers Block is a Chicago-centric webzine that aims to get Chicagoans to slow down and check out their city. The ampersand gets Wenner thinking about the distinction between race and ethnicity. Rearview contributers interpret the theme "Transitions." Gapers Block digs into the Rearview archive in search of portraits.